2018-07-11 - The League is starting! 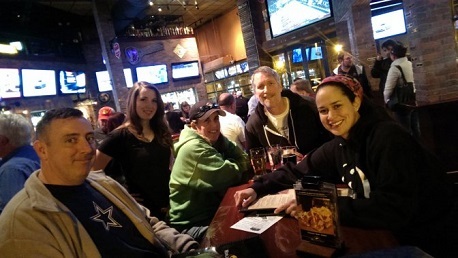 First things first The League is starting up again here at Pubguys! If you need any information please click the league tab at the top of the home page and email us with any additional questions and we'll be happy to help get everyone set up. Thanks to everyone for coming out this week after iour holiday week and a huge thanks to Katrina from Abita for donating a metric ton of prizes for our winners. We had a huge two way battle all night that ended up in a tie for our second but ultimately This is Our PLC came out on top for both games with Mouseaholics coming in second for both games. I know we didn't have a bonus question last week, but we are getting back to our reguklarly scheduled program this week. July 18th is the date for next Wednesday. On that date in 1940 a president broke tradition and was officially nominated for an unprecedented third term. Who was the opponent that this president ran against in the general election that year?